Every medical aid in South Africa offers different cover options for their members. And these are all designed to fit around the unique needs of each customer. A medical aid hospital plan is one of the best ways to go. Whatever your age, your gender, the number of family members you have or your budget, there is a medical aid plan for you. A hospital plan is a vital aspect of medical aid. They take care of all the services you get in a hospital as well as the anesthetist and surgeon. What you need to be aware of is what anesthetists and surgeons charge. They ask anything between NRPL (National Reference Price List) and private rates. And the latter can be far higher than NRPL rates. If the hospital has an agreed tariff with the medical aid, then the medical aid will pay your hospital bills in full. If not, you will have to pay the surplus amount if you don’t have gap cover insurance in place. Life has become expensive for everyone and many South Africans are looking at more affordable hospital plans. These plans have their own unique benefits such as allowing your direct control over your medical spending. Hospital plans are more affordable than the traditional medical aid plans. In South Africa these medical aid plans have become a luxury which only a few can afford. If you are feeling the pinch, it’sbetter to opt for a hospital plan than to cancel your medical scheme. These hospital plans are still a medical plan. However, but they don’t come with as many benefits. But they still provide you with important, basic medical cover. It is imperative to do research on hospital plans from medical aids. They are all designed to provide cover for unexpected emergencies. Day-to-day expenses are mostly not included in hospital plans, but they enable members to have control over their expenditure. The medical schemes of South Africa market their benefit options in various ways, so it is important to understand exactly what you’re getting. For instance if you’re a big family, you might like Medshield’s Core Plus because with this plan you pay for only one child even if you’ve got 8, 9 or 10 children. It is ideal for healthy people who want the assurance that their hospital expenses will be paid for in the event of hospitalisation. With this plan you also get maternity consultations and chronic medication. Some of the other top medical aid hospital plans in South Africa include among others Momentum Health, Fedhealth, Discovery Health and Bonitas. They offer excellent hospital plans. 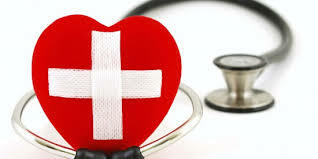 These top medical aid plans provide cover of at least 100% of the scheme rates. Most medical aid hospital plans allow members to make use of network doctors and hospitals. A typical example of this is Fedhealth’s Maxima Entryzone. For R1 179 a month for the main member, you get hospitalisation which is unlimited at their Network Hospitals as well as their chronic disease benefit. This covers 25 chronic conditions at 100% of the medicine price list as well as many other value-add ons. Medical Aid Hospital Plan pages offer you the full range of hospital plans in South Africa, where you will be able to find plans starting from R500 a month for the main member and going up to as much as R3000. The pages are constantly being updated so that as your situation changes, you can be kept informed about which plan is best suited for you.